After sitting inside for three days in beautiful Sedona, Arizona waiting out a torrential rainstorm, the downpour finally subsided. 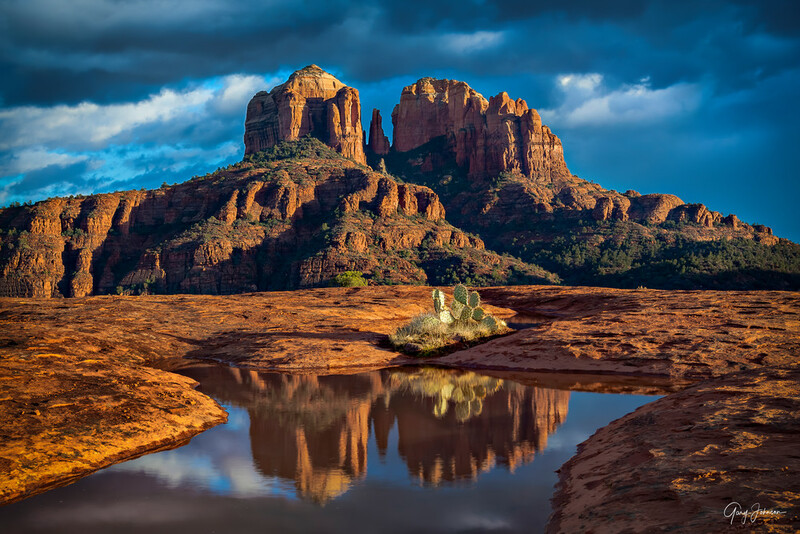 Lucky for us, the massive rainstorm created this beautiful reflecting pond at the base of Cathedral Rock. As we hiked up the trail toward our destination the skies were still full of clouds. But then suddenly, I noticed an opening on the western horizon which let this beautiful golden light illuminate Cathedral Rock. I laid down on my belly to capture this image, giving me a full reflection of one of the iconic landmarks in Sedona, Arizona.